L-R: Maurece Hutchinson, Managing Director JMK Solicitors and Steph Ellis, NICHS Corporate Fundraiser. 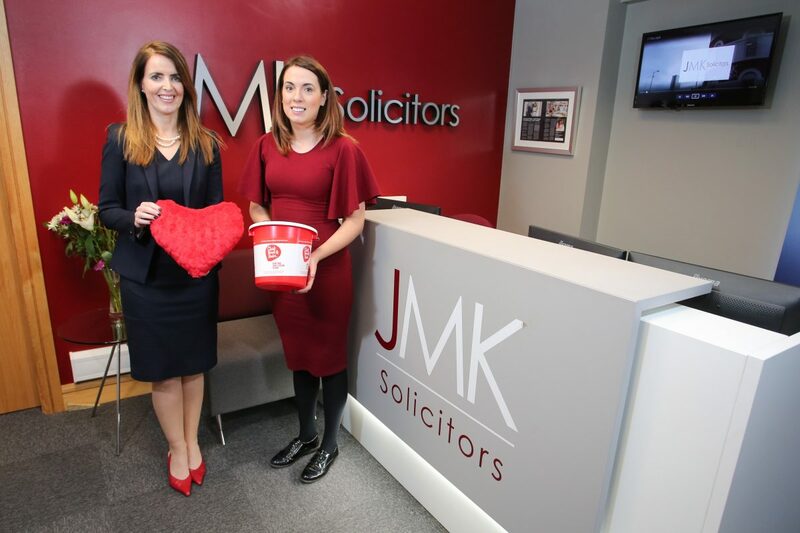 JMK Solicitors, Northern Ireland’s leading personal injury and road traffic accident law firm, have announced that they will be supporting Northern Ireland Chest Heart and Stroke (NICHS) as one of their two charity partners for 2019. Maurece Hutchinson, Managing Director of JMK, said “Each year our staff nominate two charities to support and we are delighted to say one of these is NI Chest, Heart and Stroke. “NICHS makes a huge difference to people’s lives across Northern Ireland and we are really looking forward a range of fundraising events throughout the year to support this work. Some staff members have already signed up for the Deep River Rock Belfast Marathon and we are planning for our ‘annual Night at the Races’ in the autumn. Steph Ellis, NICHS Corporate Fundraiser welcomed the new partner. “We are delighted JMK Solicitors have selected us as their charity for the coming year and we are looking forward to working with them. With a calendar of exciting fundraising events and initiatives already planned, and if last year’s impressive total of £23,000 raised for charities is anything to go by then this year is already shaping up to be a very successful partnership which will significantly benefit local people across Northern Ireland. If your organisation is interested in raising money to support Northern Ireland Chest Heart & Stroke, please contact Steph Ellis at sellis@nichs.org.uk or call 028 90266 745.